A few months ago I was called for a food styling job. Before it started, the photographer, a superb professional guy, had a meeting with a chef for deciding what dishes for the shooting. Since I couldn't go so he phoned me to tell me the detail afterwards. 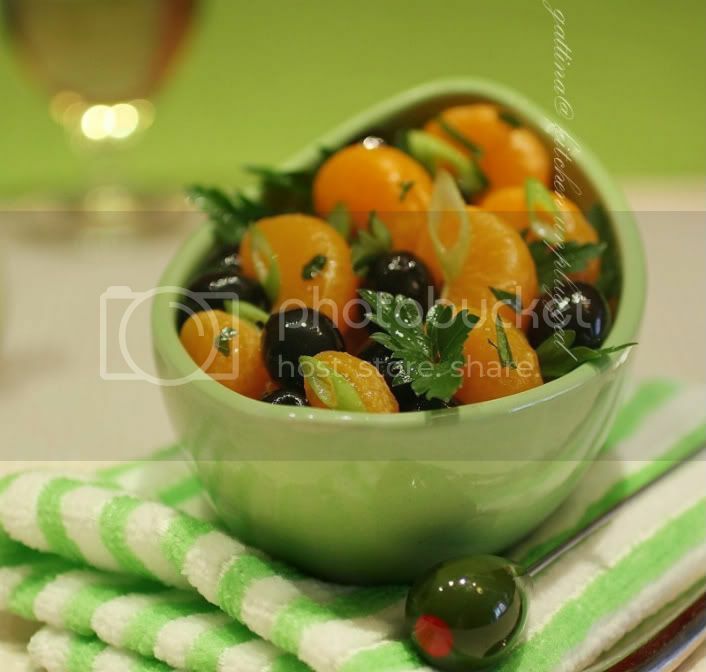 One of the dishes they planned to do was orange & olive salad, recommended by the chef. Its ingredients? The name tells it all - orange and olive. '....................' a long silent from me. No trendy pomegranate seeds? or exotic cumin? or yogurt from Greece? or an oriental touch from ginger? I mean, I was so used to hear/see something plenty and fancy. I was very curious: what chemistry was the duo going to create? have enough 'weight' to seize a spotlight in public? why the chef recommended it? 'Noooo...' she told me softly. The dressing is simply the juice from the fruit, then a bit of oil, maybe some salt/sugar/pepper to adjust the taste. I tasted her salad, I was totally blew away! After combining the sweet/tartness with saltiness the taste was very intriguing and unexpected. I ended up eating one more mouthful, then another and others, completely allured by the new flavor. "Less is more", another wonderful simple recipe. After the photographer's work gets published, I would let you guys go look at his original recipe and detail. For now here's my interpreation to the salad. Mix everything together, and I prefer letting it sit for half-day, sort of allow the flavor develop more. I love the less is more - when you let the ingredients speak for themselves, without disguising them in exotic sauces. This is a salad I am going to make asap! I just found some great clementines and I always have olives on hand! Great photo! Waw,...Gattina!! A georgous & tasty salad this is!!! I like the sound of this combo. I'm guessin the clementines would do a fantastic job of offsetting the salty olives! 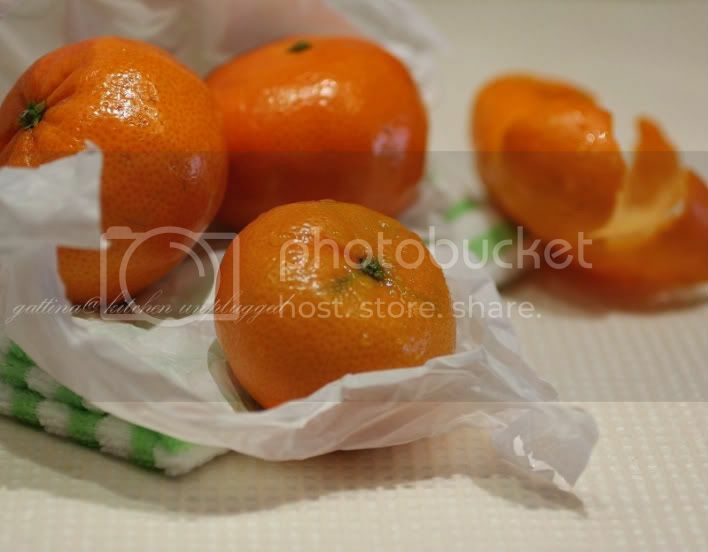 i love any kind of oranges, clementine is in season right now. less is more is good mantra, that salad sounds intriguing! I would loveeeee this.....less is sometimes, but not always, more!